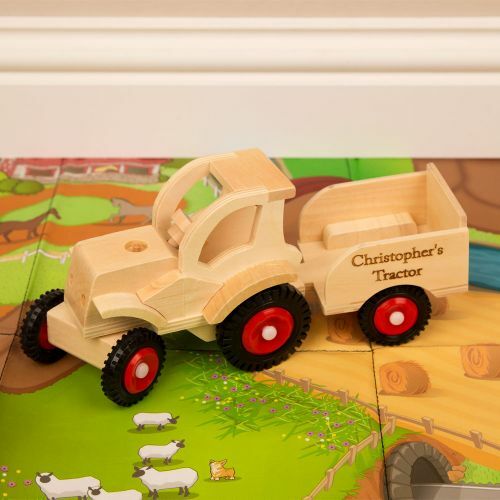 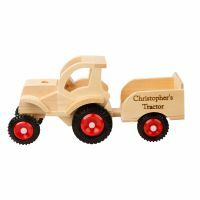 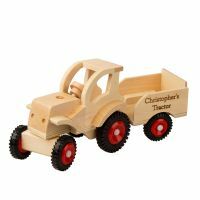 Our wooden tractor and trailer would make an excellent present for any child that loves their farms, cars and toys. Made out of solid wood, the tractor is a versatile toy that could be used both indoors and outdoors, depending on what jobs need done! The trailer is spacious enough to fit small toys inside – maybe it will be transporting animals around the farm or moving some sand in the garden! The steering wheel with front axle is fully working, allowing the front wheels to turn in any direction. 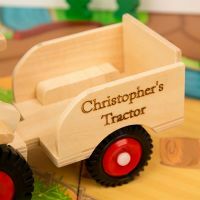 The trailer is fully removable and comes with the recipient's name laser engraved on one side. Perfect for making sure that your tractor comes back home with you! Personalisation Guidelines: Please provide the first name of the recipient and we will add the word "Tractor". 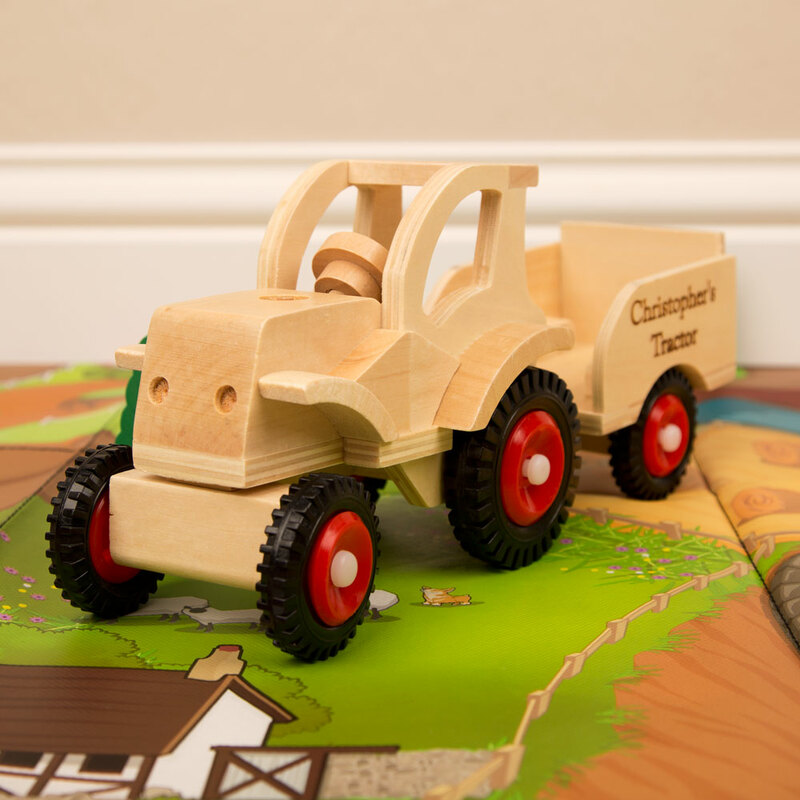 Photography props such as mat and building blocks not included. 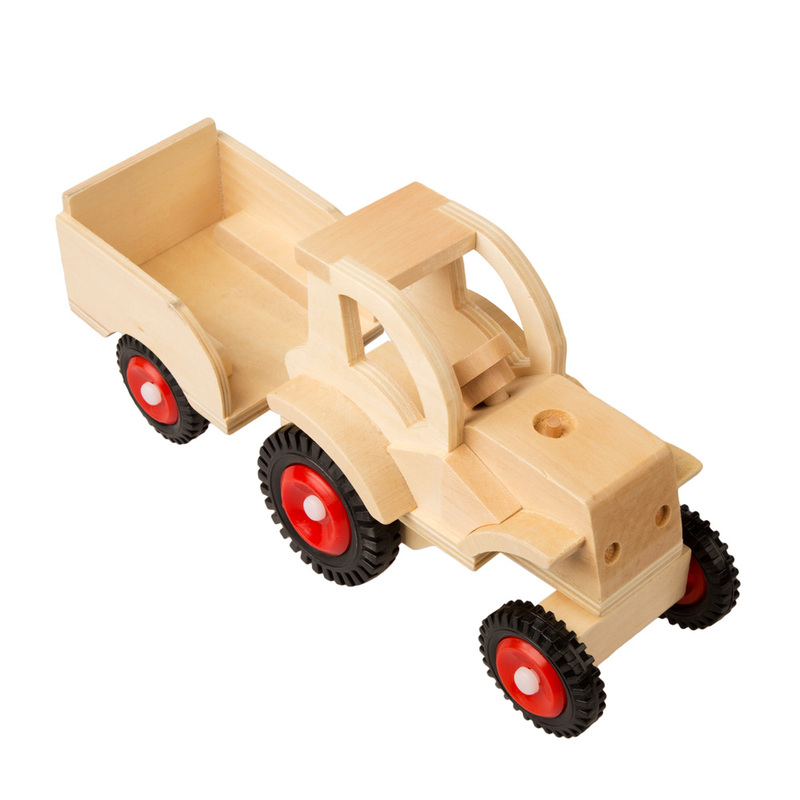 Dimensions approx: 9 x 28 x 14cm.